In the race to boost sales in a tight economy, franchisors are offering many different kinds of financial incentives to attract potential franchisees and to help their existing franchisees survive and expand. Last month, the authors provided an overview of today's economic environment, along with details on what Chick-fil-A, Saladworks, and Friendly's are doing to help franchisees obtain the funding they need. This month, they describe the programs under way at five more franchisors. Don Fox, CEO of Firehouse Subs, says that when they created Capital 94 (an affiliated financing company), it was with the intent of supplementing the financing needs of the best franchisees in their system. "At the time, some of our operators had leveraged their personal assets to develop their first restaurant and required our assistance to accelerate the development of their second restaurant. The lending environment was much different at the time <2005>, and the loans were limited to the cost of the equipment packages . 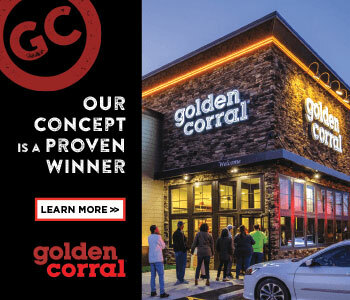 After the first two years of extending loans to our franchisees, we saw the opportunity to expand the scope of the program to include financing of the entire restaurant project," he says. "Our loan approval process is very much like a traditional lending institution, but we have the added advantage of having an intimate knowledge of the franchisees' operating skill or experience," says Fox. "When the lending environment changed so dramatically in the summer of 2008, we were immediately in a position to step in and fill some of the void that had been left by traditional lenders' evacuation of the marketplace. This has resulted in the development of projects with franchisees who might not have otherwise been able to secure financing." In 2009, Marco's Pizza launched several innovative financing opportunities for its franchisees. Bryon Stephens, vice president of new business development, says that Marco's offers franchisees the opportunity to lease complete stores through its captive leasing company, which can provide up to $200,000 in new restaurant financing. The offer is competitive with commercial rates in the market, Stephens says, but unlike traditional lending the process moves fast and franchisees are often approved within two weeks. Marco's also created a private equity fund that may invest up to $100,000 per restaurant, through which it takes a "silent share" in the franchised business that the franchisee must buy back over time; the investors are paid a percentage of the restaurant's sales. Marco's also created an affiliate, Marco's Assurance, to offer a franchisee's lender a credit enhancement in the nature of a limited guarantee to supplement the SBA's 90 percent guarantee, which Stephens believes has generated $15 million in new financing from third-party lending sources. According to Stephens, to create a pool of funds that could be offered to lenders as a credit enhancement, Marco's convinced franchisees that it was in their interest to pay a higher initial fee and higher royalty, with the premium paid to Marco's Assurance monthly on an ongoing basis, until each restaurant contributes $15,000. In exchange, Marco's Assurance offers lenders a $50,000 guarantee on that franchisee's loan for the location. If the company does not experience any losses on its guarantee, the money is ultimately returned to contributing franchisees on a pro-rata basis. Eli Chediak, vice president for sales and development at Quiznos, reports a prompt "sell out" of opportunities to enter into the company's Operating Partner Program. Under the program, offered only for certain identified locations, the operator must come up with only $5,000, and Quiznos funds the rest of the initial investment through an operating lease. Eighty percent of the restaurant's operating profits are used to pay down the amount financed under the lease and the operator keeps the remaining 20 percent, and once satisfied, the operator earns 100 percent ownership of the restaurant. According to Chediak, the program was so successful that the pre-approved locations are now sold out. He says Quiznos is now offering a similar re-franchise opportunity under which the company will provide financing to qualified franchisees who have as little as $20,250 in capital to reopen closed locations. Fastsigns International and BrightStar Healthcare are the first franchisors to participate in an arrangement between Franchise America Finance (FAF) and Bancorp Bank, according to Ron Feldman, CEO of FAF, and best-known as the face of Siegel Capital. According to Feldman, FAF is targeting 30 brands that meet Bancorp's lending criteria to provide them with a predictable source of financing for franchise prospects of a particular credit score and liquidity who otherwise meet Bancorp and the SBA's qualification criteria. Only seasoned franchisors with strong system and unit metrics and with a proven franchisee selection process are considered. According to Feldman, once the brand passes the hurdle of getting into the program, FAF and Bancorp will work with the franchisor to identify what the standards for credit approval will be in each system. "As long as the prospective franchisee meets those criteria, and it fleshes out in the full underwriting process, the franchisee will get the loan," says Feldman, who describes the program as "a paradigm change in franchise financing, using a collaborative process to allow for predictable franchisee financing on a national scale." Catherine Monson, CEO of Fastsigns, reports that this program is already generating lots of excitement in her system, and that they have been able to resurrect prospects who otherwise were qualified but lacked access to financing. Shelly Sun, BrightStar's CEO, finds it "critical" to successfully meeting its multi-unit growth objectives "to find a lending relationship who really understands franchising, especially when it comes to financing multi-unit deals and how they need to be financed differently than single-unit transactions." In today's economy, it will be every franchisor's challenge to retain and retake market share. As typically happens in franchising, these financing strategies will evolve out of innovation and necessity and winners will emerge. As available financing quickly becomes "the" selection criteria used by franchise prospects to distinguish between opportunities, it's critically important to understand how the industry is changing. Lane Fisher and Joe Dunn are partners in the Philadelphia-based law firm Fisher Zucker LLC. Fisher has represented franchisors for more than 20 years, written extensively on many aspects of franchising, and is a frequent speaker on franchise issues. Dunn has practiced law for 15 years and has represented franchisors in both private practice and as in-house counsel. Contact them at 215-825-3100.